1-1/2" (38mm) Women's casual one piece genuine full grain leather belt. 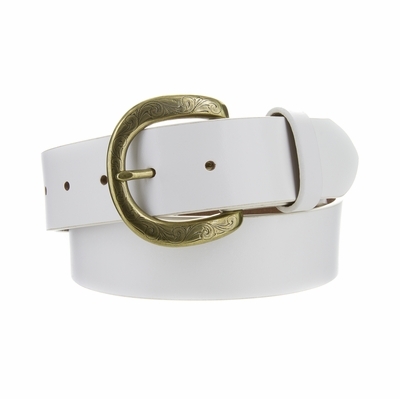 Smooth leather belt that comes in different sizes. Engraved brass plated buckle and snaps for easy buckle change. 7 holes for easy fit adjustment and a matching keeper.